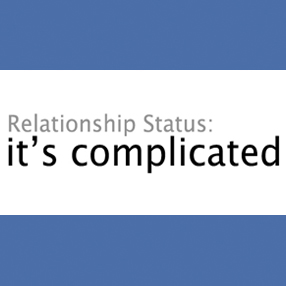 There’s an old joke on the Internet that Facebook needs to add a status update, which states, “It’s complicated.” And think of the number of times people have started to tell you a story about an event or someone in their lives and stopped by saying, “It’s complicated.” So it is. This got us to thinking that making things complicated is ironic when we allegedly have so many new ways that have been touted to “uncomplicate” our lives, from social media for easier communication to any number of appliances and devices that unfortunately break down or become obsolete the moment we buy them; thus complicating our lives even more. Do we complicate our lives because we don’t really know what we want so we try to grab a bit of everything so we don’t miss anything? Or is it because we don’t have a clear purpose of what we’re supposed to do with our lives? Or is it just the times we live in with so many choices before us we can’t figure out what to order from the menu? And do we overcomplicate our lives without realizing we’ve done so? Think through your own obligations, responsibilities and expectations. Maybe you can control some complications and some, well, they’re thrust upon you and you’ve got to soldier on. To uncomplicate your life you’ve got to first become aware of what’s dragging you down. For example, when people retire, or their kids are grown and moved away, they often downsize, get rid of stuff, move on from the myriad of details that used to take up their time, energy and resources. People who downsize often express that they feel better because life is less cumbersome. Giving up material goods is always difficult because we often place our self worth on what we own, from the house we live in to the cars we drive, etc. our stuff defines us. When it comes to relationships we often repeat patterns that have plagued us in the past, and become entangled with the types of people we know we shouldn’t but are somehow attracted to and once again complicate our lives. (These situations are best worked through with professional help.) And think of second marriages, where there are so many unknown issues, on both sides, that often don’t flare up until, well, it becomes complicated. According to an article, The Intelligent Divorce, in Psychology Today by Dr. Mark Banschick, “Past statistics have shown that in the U.S. 50% of first marriages, 67% of second, and 73% of third marriages end in divorce.” Now that’s complicated. Regardless of what makes our lives problematical, we all wish for simpler times where we have room to breathe and smell the flowers and enjoy the brightness we all crave. That’s why many of us say, “Back in the day, things were easier” because the past always seems to have been more inviting and less convoluted than what we’re facing today. But simplifying can be hard to do because it means we need to be conscious of the choices we’ve made and if we’re too busy trying to manage all that is in our lives we can’t seem to slow down enough to shut down our overloaded, complicated and full of distractions, frenetic lives. Uncomplicating our lives is unique to each of us and there are no easy answers or strategies. But starting to become aware that we can’t go on this way is certainly the starting point that could lead to a fuller and more rewarding life. So what are you doing to uncomplicate your life?